Nepal president Bidya Devi Bhandari visited Odisha today during her maiden five-day trip to India.She visited Lord Lingaraj in Odisha capital. Bhandari visited 12-century old Lingaraj temple here in evening after attending a function under Ujjwala Yojana . Apart from it, she is scheduled to visit Puri to offer prayer to Lord Jagannath at Sri Mandir on Friday.She will return to New Delhi tomorrow.She was scheduled to visit India in May last year. However, the programme was cancelled as the Nepal cabinet did not approve her visit to India. Video Courtesy : Odisha TV . Lingaraj Temple is one of the most beautiful temple in the temple city of Odisha according to the architectural standpoint .Being known as the Temple city , there are many other famous temples like the Ananta Vasudeva, RajaRani, Mukteswara, Kedareswara, Siddheswara, Parasurameswara,Ram Mandir.The largest of these is the Lingaraj Temple,an outstanding specimen of the Odisha/Orissa style of temple building.It is about a thousand years old temple. 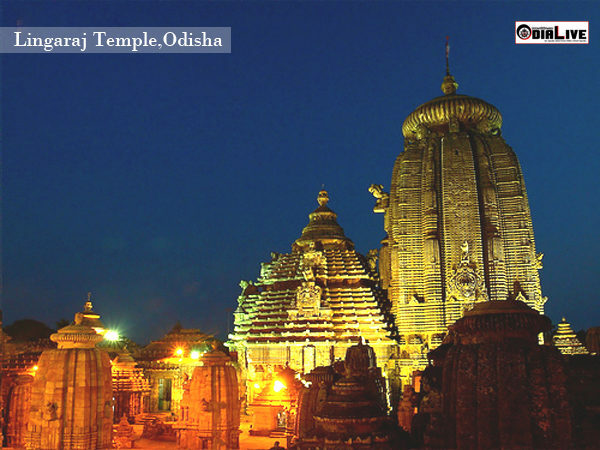 Three holy cities Bhubaneshwar, Konarak and Puri constitute the Golden triangle of Odisha/Orissa, visited in large numbers by pilgrims and tourists. Structurally, the Parasurameswara temple at Bhubaneshwar is the oldest, dating back to the middle of the 8th century, and the Lingaraja is temple is assigned to the 10th century. The nata mandir and the bhog mandir of the Lingaraja temple are of later origin. Click to read More ….